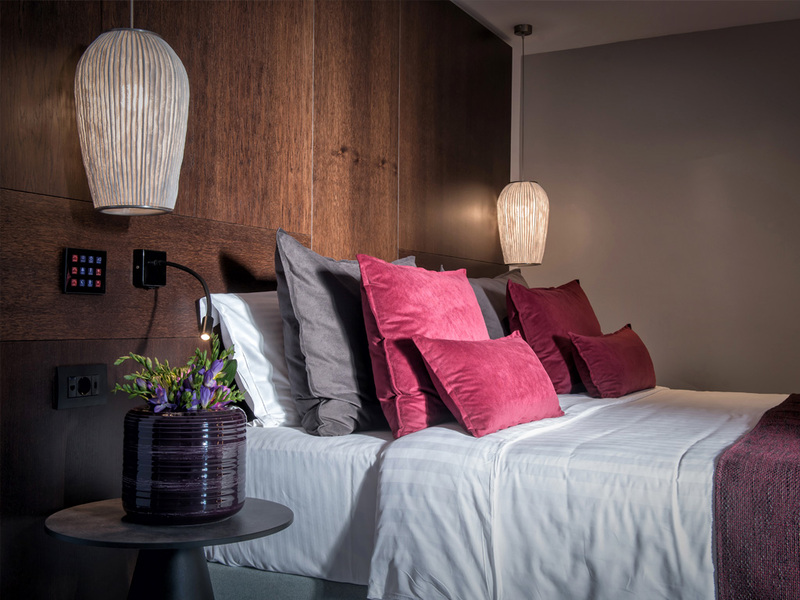 The quality and versatility of our lamps have led us to be present in the most relevant interior architecture projects developed around the world. Thanks to our extensive international commercial network we have the capacity to develop commercial projects across all continents and main cities worldwide. 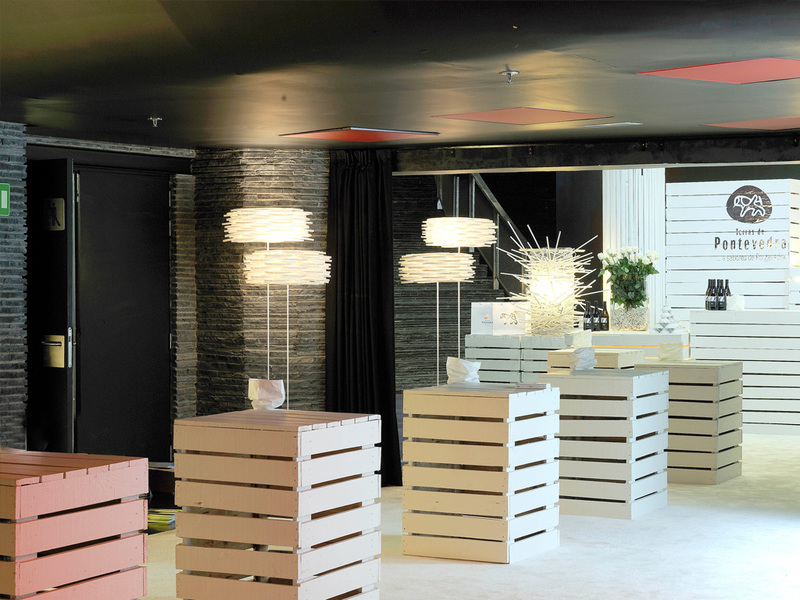 This allows us to work as a team with professionals and adapt to spaces as diverse as: hotels, restaurants, offices, events, companies… If you have a project, we have a lamp that will make it shine. 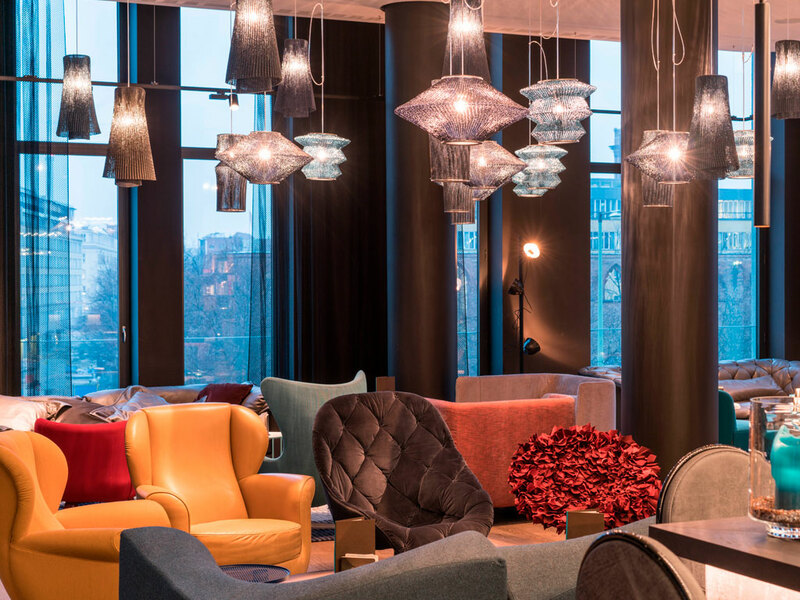 Motel One Alexanderplatz in the city of Berlin has the Ura and Tempo collections in personalized colors for one of its spaces. Pop up space in Barcelona for Terras de Pontevedra happening. Promotional act organized by El Rincón de los Sentidos and illuminated by the Aros collection. Kindergarten in A Estrada (Spain). 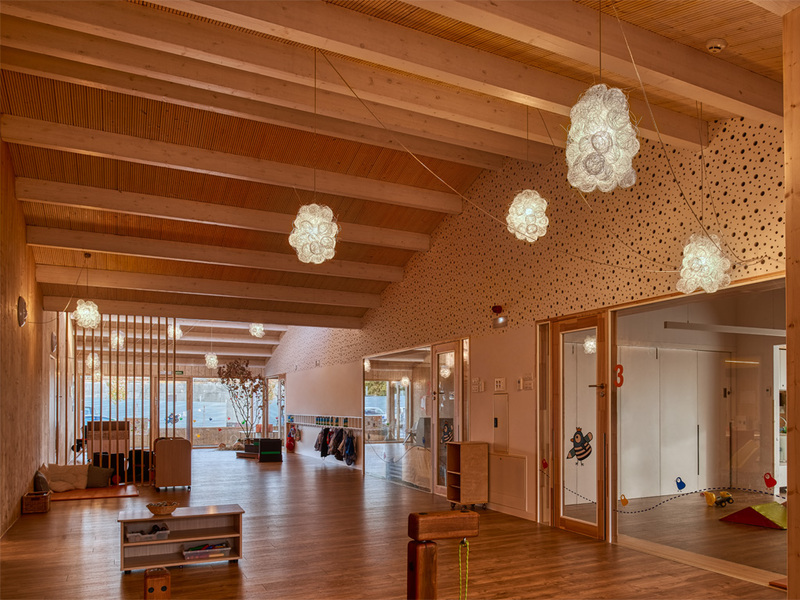 This space developed and designed by Abalo Alonso is illuminated by the Blum model. 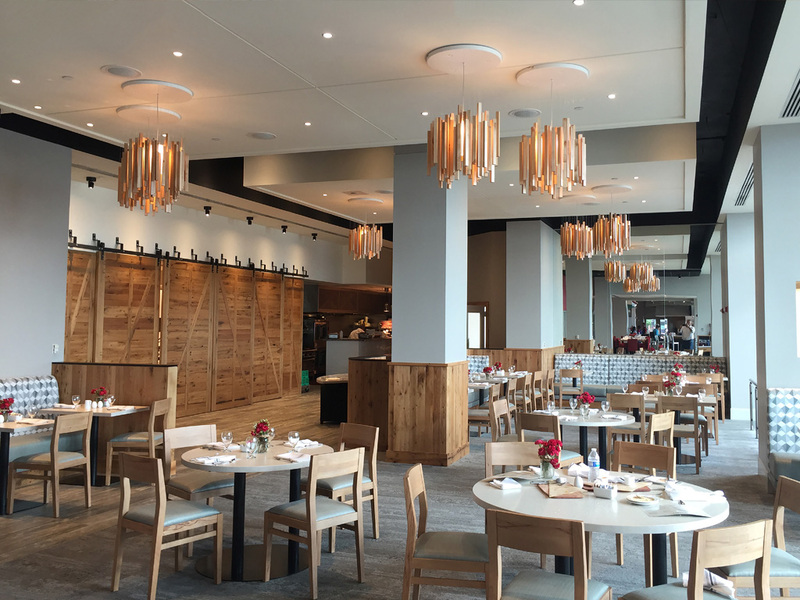 The woods lamp illuminates the Hilton Philadelphia Penn’s Landing Hotel restaurant designed by its interior design department in the United States. Villa Agora, a project made by ARK Architects. 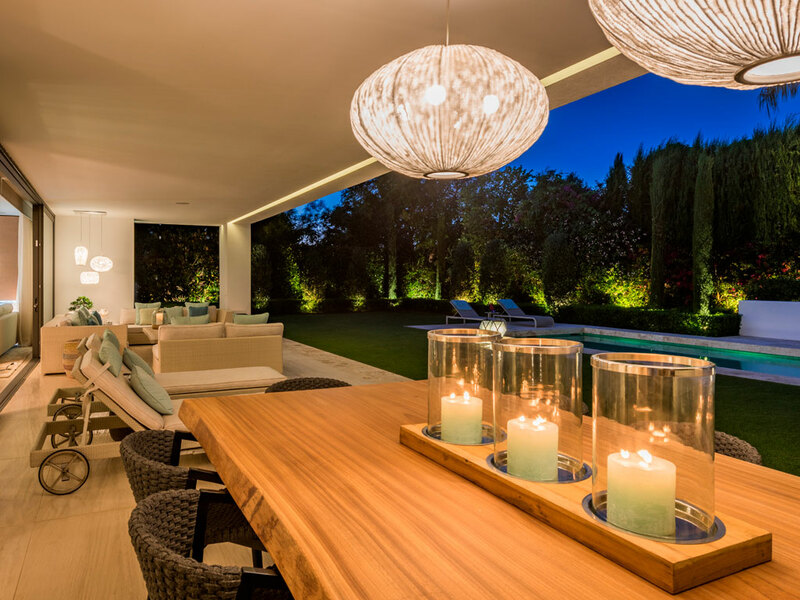 The villa, located in Marbella (Spain), is a luxury residential space where the Coral collection illuminates the space. 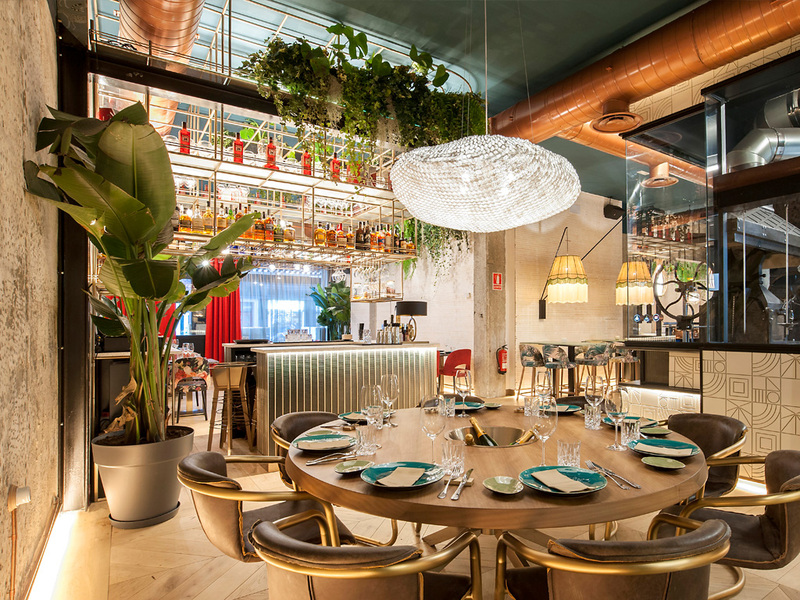 Origen Bilbao restaurant (Spain). This space illuminated by Susaeta Iluminación has Caos lamps in a golden yellow color. Private residential project in Spain. This residence has the Chaos model in white. 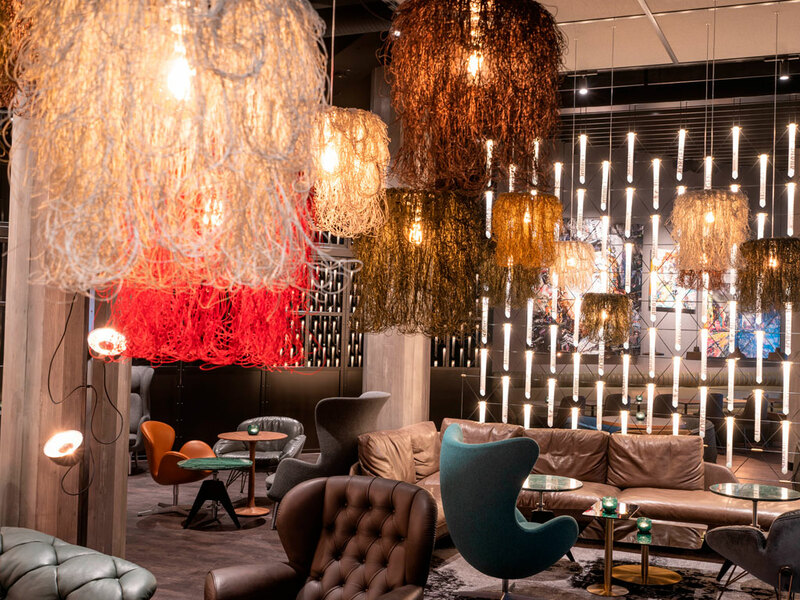 Motel One Berlin-Spittelmarkt, Germany, has the Caos model in its facilities. 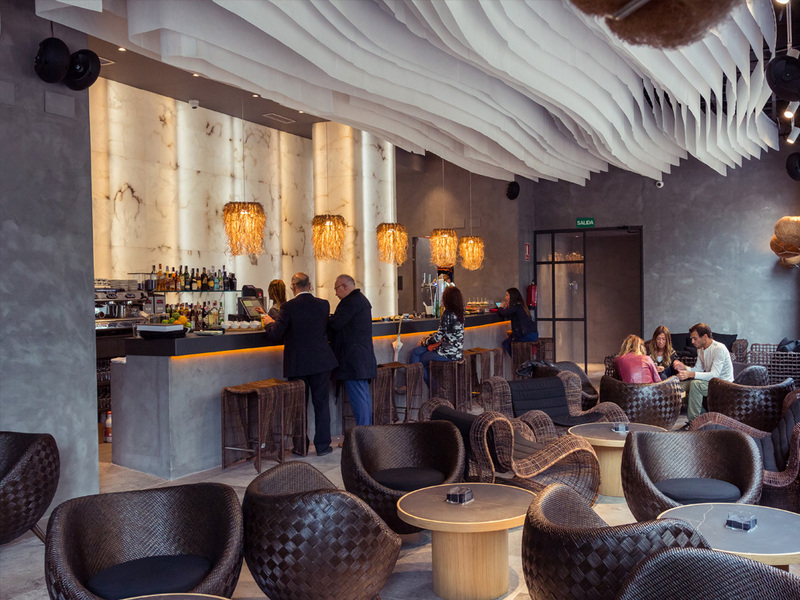 This space designed by the team of Motel One combines Caos in different colors. Multidisciplinary space Nemonon, Spain. 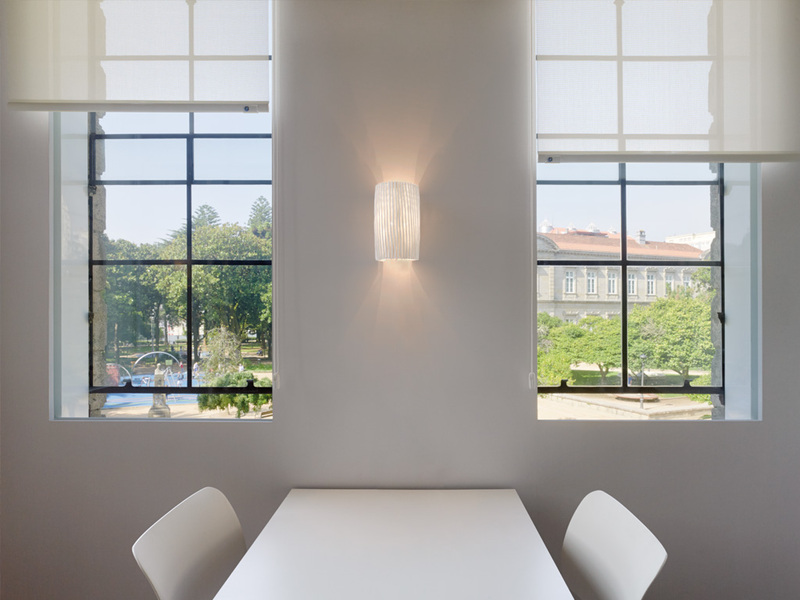 The wall lamp of the Gea collection gives light to this space designed by Mauro Lomba. Atlantica Caldera Palace Hotel, Greece. 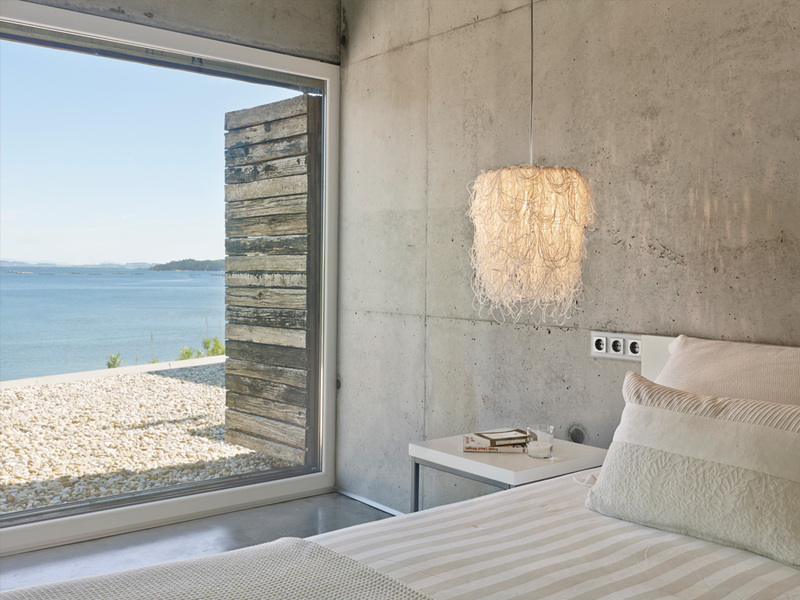 The space designed by Krommydakis Stelios and made by Tsakirelis-Gonianaki (L’Esclusivo) has the Coral Galaxea model in its rooms. 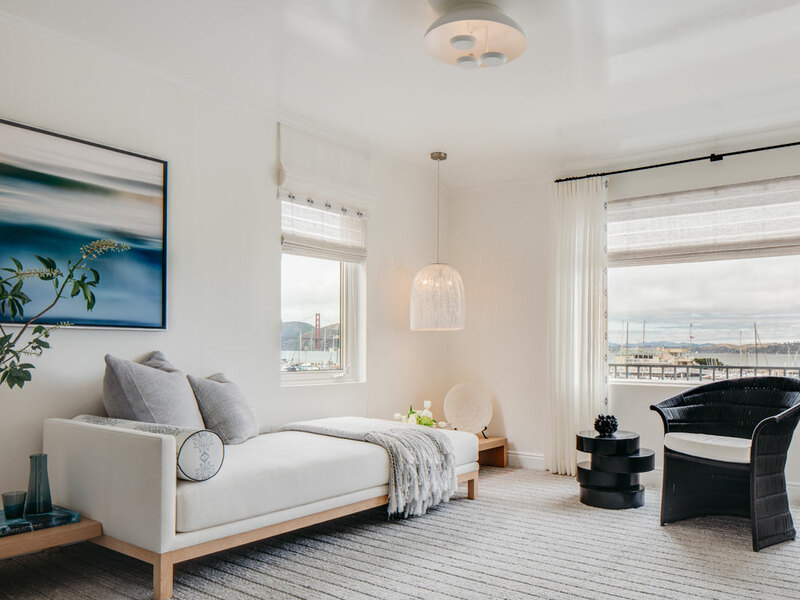 Showroom in San Francisco designed by Eden Wright. 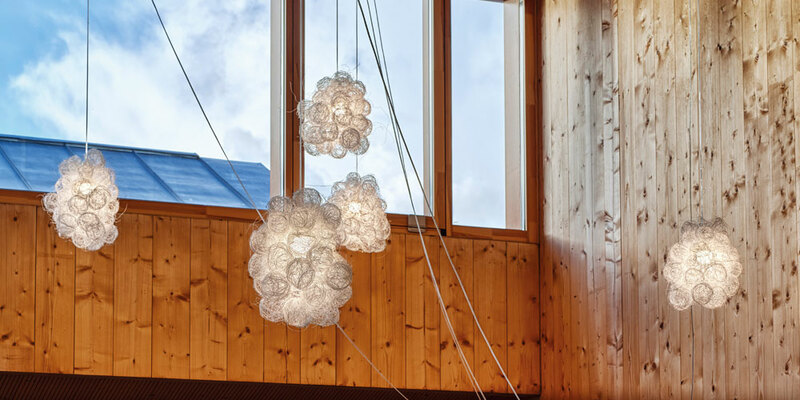 This ephemeral showcase has the Onn design in its pendant version. Samaná Restaurant, A Coruña. MAS architecture designs this space in Spain where it has the Tati model. Hotel Mirador de Chamartín (Spain). 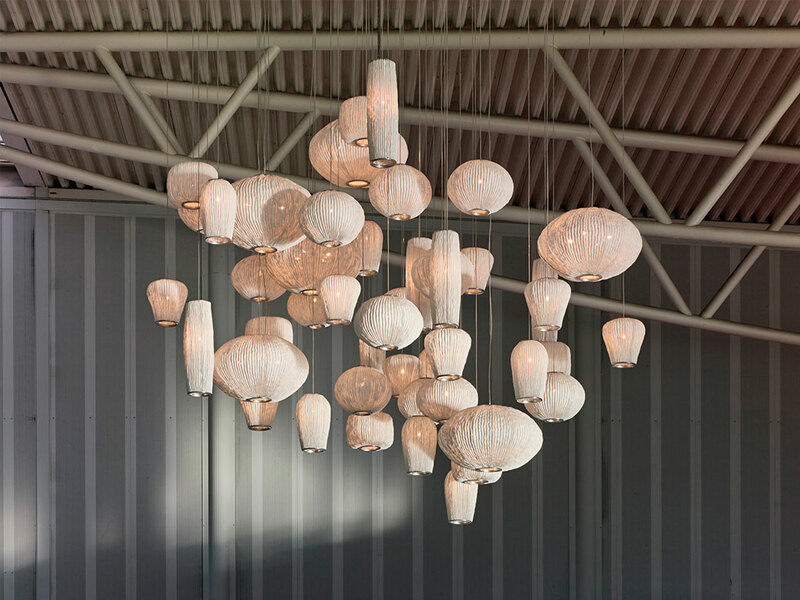 Designed by Álvaro Arapiles, it has the Coral composition in the hall.